In his youth he was a Page to Cardinal Wolsey. 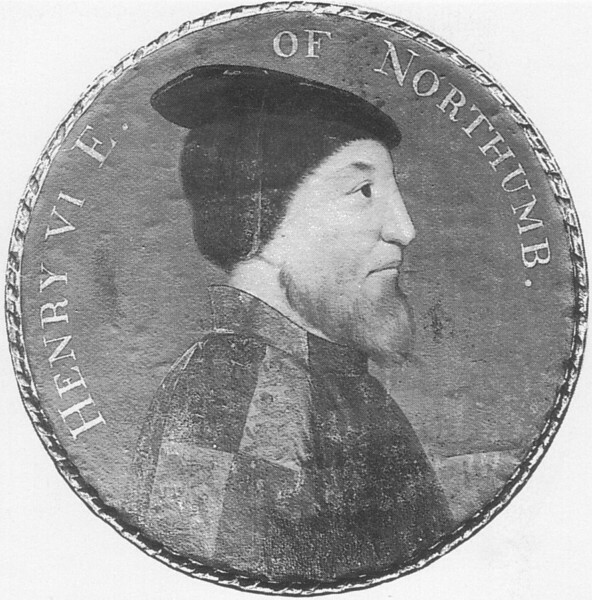 Member of the Council of the North 1522. Henry, Lord Percy became betrothed to Anne Boleyn, probably in the spring of 1523, when he was page to the Cardinal. On hearing the news, Lord Percy was scolded before his servants by Wolsey, since permission for the marriage had not been sought from his father nor the King, who also had an interest due to the importance of the Northumberland earldom. His father refused permission for the marriage, and he later went on to marry Lady Mary Talbot. Warden General of the East and Middle Marches (1527-1537) in which capacity he arrested his old master, Wolsey, at Cawood Castle, North Yorkshire, for high treason on 4th Nov 1530. In the final year of his life he was very depressed by the Northern rebellion and attained of his brother, Thomas, and the recent execution of Queen Anne Boleyn, with whom he had been in love as a youth and obviously still had much affection. He was also a member of the jury that convicted Queen Anne of adultery. Henry Percy fainted at the trial and had to be carried out. There was no love between himself and his wife - indeed there was even a physical debility. He spent his inheritance lavishly, and transferred various estates to friends. At his death he bequeathed much of his estates to Henry VIII.